When you pull out your clothes from the closet after a long time and see fuzz balls of fiber and lint all over it, you surely get a bit pissed off. All your precious garments look old and dull with pills, which obviously is not appealing and cannot be used. If you use a disposable razor to remove the pills there’s a fear of the cloth getting torn or split at places, this is when fabric shavers come to your rescue. A Fabric shaver is like an electric razor that helps to shave off the lint and pills over your clothing and keeps actually from cutting the fabric. The precise depth of the fabric shaver removes the extras that make your cloth look bad. You try to throw away the piece of clothing as soon as it starts to pill. If you look into Americas throw away its about 10.5 million tonnes of clothing a year, unwanted clothes fill the landfills and also cost a whole lot of money. One must find ways to hold onto their clothes, or at least make them presentable enough to donate. A fabric shaver can encourage one to not toss out their old clothing too quickly. Pilling happens when a zone of texture is always rubbed against, for the most part by something rougher in the surface. The most widely frizzed parts of garments to pill are those that endure the most scraped spot, for example, the seat of the jeans, the armpits, and the neckline. Since these consistently come into contact with and rub against, different things, similar to jackets or seats, little gatherings of broken texture on their surface find the opportunity to tangle together and frame pills. Ladies may see that in the wake of conveying a grip tote under their arm, the texture against which the satchel rested has started to pill. This is another wellspring of the scraped area. You still love your old clothes and want to get rid of the lint and fuzzes especially during the winter when you need to show off your sweaters and washing them makes them messy than this fabric shaver is just for you. If by chance you mistakenly put in your clothes with detergents that are too harsh and they leave your clothes with frizzes you surely need a fabric shaver. 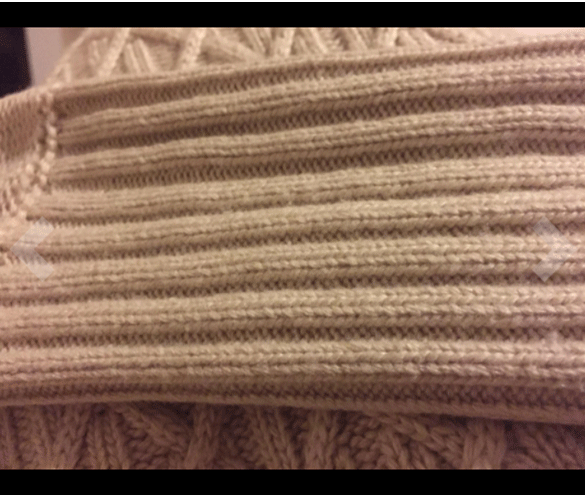 Rather than buying a new sweater or top every time you find frizzes on the old one get a fabric shaver. Your sofa covers look too old with pills after a wash tan removing them with this can be pretty easy. 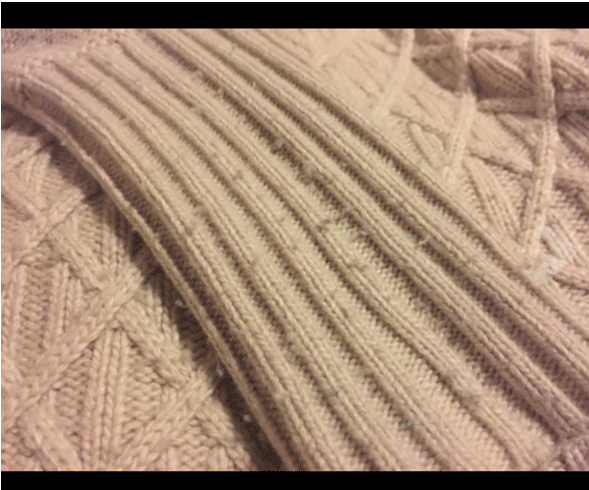 Your fabric won’t look wearied out like they used to look before using the shaver. It saves a lot of time and money on buying a new cloth and also your cloth is saved. Saving your old cloth will make it saleable and you can donate it too. Adjustable as it is designed to suit all different fabric surfaces. Three adjustable shave heights and two-speed options make your work easier. The extra large cutting head allows for quick and easy removal of fuzz so that you need not empty it every second or third time you are using. 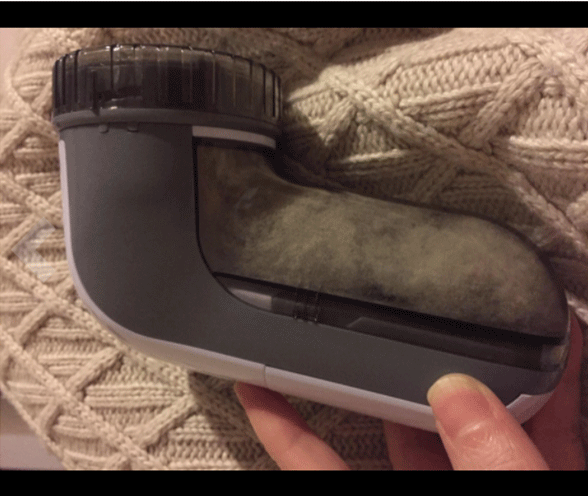 Removable see-through lint collection container easy to empty and use. 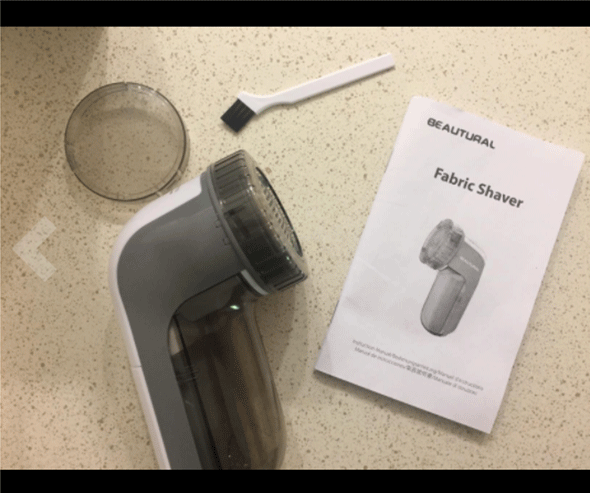 Its cost is just $9.34 and is durable enough, so you save your money and dress too by using Beautural Portable Fabric Shaver and Lint Remover. Keep your clothes new always with the Beautural Portable Fabric Shaver and Lint Remover buy it on Amazon at just $9.34.